Non-Surgical Treatments (Botox, Juvederm, Kybella, VolumaXC) – Michael S. Fozo, M.D., F.A.C.S. Dr. Fozo personally administers BOTOX and Fillers to patients at his Macomb office. During your visit, Dr. Fozo will discuss your goals and let you know which product – or mix of products – is best for you. If you are comfortable, we can treat you that very same day. 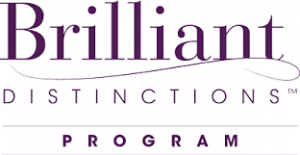 Lakeshore Facial Plastic Surgery is proud to participate in Allergans Brilliant Distinctions® Program. It is the only rewards program that gives you points toward instant savings on qualifying Allergan® aesthetic treatments and products. You’ll earn points every time you purchase a qualifying treatment with a participating provider, as well as when you shop online at your favorite retailers in the Brilliant Distinctions® Mall. Join Brilliant Distinction®NOW. It’s easy and Free! Enjoy exclusive savings on select Allergan Treatments and products. Earn and Save! BOTOX® treats the ‘11’ lines between your brows, which result from muscle contractions. When you concentrate, squint, or frown, the muscles between your brows contract, causing your skin to furrow and fold. After years of frequent contraction, those wrinkles can linger even after the muscles are at rest. Botox can also erase forehead lines and elevate the eyebrows. It can also be used to elevate the corners of the mouth. BOTOX® Cosmetic blocks nerve impulses to the treated muscles, which reduces the muscle activity leading to those pesky lines, resulting in a smooth and youthful appearance. Treatment takes just minutes and there is no downtime afterward. You will begin to see the benefits of BOTOX within one to three days, with results improving for up to two weeks and lasting approximately two to four months. Dr. Fozo also offers Juvederm for facial fillers. During your appointment, he will listen to the changes you wish to see and analyze your facial contours in order to provide the best filler product to meet your desires. Fillers can offer dramatic results without the downtime required of surgery. In fact, restoring volume lost with age can sometimes do more in terms of turning back the clock than surgery can. Fillers are often used around the eyes. Adding volume to the brow and upper lid can lift the brows and make the eyes appear more youthful. They are also used to fill in hollows around the lower lids and cheek folds, as well as to smooth jaw lines. Fillers also achieve dramatic results on the lips by improving their volume, shape and contour. This is a gel filler used to instantly smooth away wrinkles around your mouth and nose. One treatment will allow you to enjoy smooth and natural-looking results for up to a year. JUVÉDERM® XC is also infused with lidocaine to improve comfort during treatment. 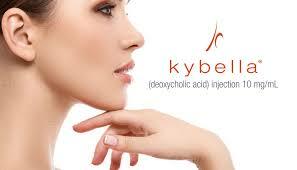 KYBELLA® is the only FDA-approved injectable treatment for adults that destroys fat cells under the chin to improve your profile, whether you have a moderate amount of chin fullness or a bit more. To schedule a consultation with Dr. Fozo in Macomb, Michigan, please call us today at 586-286-6565. We look forward to meeting you!